Wondering where you put your keys? Our lives are busier than ever, and it’s no wonder our brains have trouble keeping up. Ever walked into a room and not remember why you went there? How about leaving a supermarket just to realize that you’ve forgotten to purchase the one thing you needed? Scrambling to remember an acquaintance’s name? Forgetting someone’s birthday? If you have experienced one or more of those, you are not alone. A study commissioned by Post-It (yes, the brand behind the ubiquitous yellow sticky notes!) found that an average person forgets four things each day. Juggling work responsibilities, family needs, financial worries, and health can compound these lapses and make us feel like we are losing our minds. When it comes to nutrition, it’s hard to tell recent hype from tried-and-true recommendations. One day fats are bad for you, the next they are the miracle cure for everything. Here are two suggestions sound enough to withstand evidence-based studies. Eat less processed sugar. Studies have shown that sugar can impair short-term memory. Cutting out all sugar with dietary reboots like Whole30 or Paleo can be effective, although for a beginner the changes that are required can feel quite extreme. If you are looking for a less aggressive method, begin by building the habit of reading product labels to become aware of added sugars in everyday foods. Eliminating soda from your diet can go a long way (replace it with plain water, infuse water with herbs and fruit for an added flavor, or try herbal tea). Reach for fruit or honey instead of regular sugar. Replace sugar-loaded desserts with healthier options (Greek yogurt with nuts, dried fruit, and honey drizzle; a square of dark chocolate; or baked fruit). Eat more whole foods. Mediterranean diet, which includes a balance of vegetables, fruit, whole grains, legumes, healthy fats like olive oil, and small amounts of meat and fish, has been scientifically shown to have a positive effect on the cognitive function and memory. Among the many benefits of regular exercise (better mood, stronger body) is its positive effect on brain health and memory. Exercise facilitates neuroplasticity (or the way that the brain forms neuron connections to send signals through your brain), which allows you to learn new things. It also improves your memory through the release of special hormones called “growth factors”. Different types of physical activity can get you in the right zone, from aerobics to resistance training, walking, swimming, and much more. Sleep is essential to healthy brain function and memory. Aim for at least 7 hours of sleep every night. Consider supplementing that with an afternoon nap – a study found that adults who took a one-hour long nap performed better on cognitive tests than those who didn’t nap at all. Beyond restful sleep, look for ways to add relaxation to your days. Studies have shown that meditation and listening to music could have a beneficial effect on memory. Other activities that put you into a state of flow (gardening, washing dishes, taking a walk outside) can help your body process the stress of daily life and minimize the damage it can do to your brain. Boost your memory, the natural way! There are many delicious, fun, and relaxing ways to boost your memory. From optimizing your diet, to getting some exercise and good rest, you can ensure that your brain gets what it needs to be in optimal condition – regardless of your age. One final note. There is a difference between normal forgetfulness and symptoms of neurodegenerative disease. Misplacing things from time to time, forgetting which day of the week it is (just to remember it later), or blanking out on someone’s name may be perfectly normal. 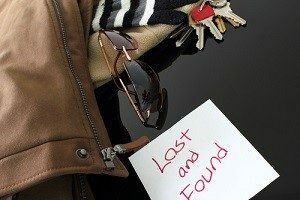 On the other hand, misplacing things often and being unable to find them, confusion about where you are or what time of year it is, or profound changes to personality or mood could be an indication of a more serious problem. Talk to your doctor if you are concerned. And, if you are worried about Alzheimer’s, visit Alzheimer’s Universe which has helpful educational videos and blog posts.